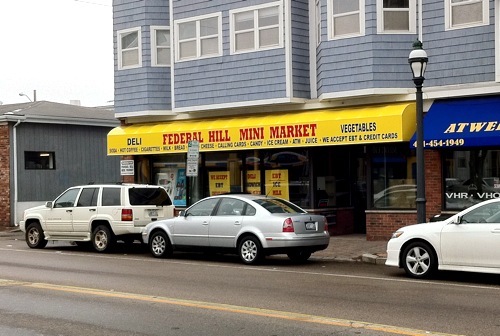 There are two new mini marts opening on Federal Hill, setting the stage for a mini mart war on the Hill. I’m hoping they have ice cream price wars myself. There’s not all of a sudden more people living in this area, so I don’t know exactly what explains the suddent establishment of two new mini marts in this small geographic area. Perhaps markets are able to get business loans while other businesses are not. Competition is fine by me, but I wouldn’t want to be the owner of one of these places, seems like there’s just too many for too few residents. We’ll see who wins the Mini Mart Wars. My guess is that mini-marts are cheap to operate and are lower risk ventures than other things (i.e. restaurants) that could go in those locations. So with the economy still slow and real estate prices down they are beating out other ventures. My guess is that several will disappear or become different ventures in the next few years if the economy flourishes again. The Prov Mart already kind of closed once, they had a big going out of business sale. I bought all sorts of stuff like dish detergent and toilet paper and whatnot wicked cheap, then they didn’t close. Not sure what was really up with that. I can actually see the Federal Hill Mini Market doing OK. Lots of people stop at Dunkin Donuts in the morning, so they could get some of those people, but also, Dominica Manor could provide them steady business. There are plenty of people there who aren’t terribly mobile and have trouble making it down to the Atwells Mini Mart, especially in the winter when the sidewalks are unshoveled. If they can safely get across the street, they should prove to be a steady stream of customers. how did that one on broadway sneak in? And are those awnings historical? So excited to see the Broadway Mart going in! Is it safe to assume that most of these are “family” businesses, wink wink? Jen, the awnings look like the same awnings that were there when it was the florist (which actually moved further down Broadway). Here’s my view of the mini-marts (Jef actually missed one, unless it closed, on DePasquale next to the Sovereign Bank parking lot). The Atwells Mini Mart seems to have a large number of regulars. They used to sell milk much cheaper than the grocery store (to the point that I would buy milk there instead of while I was grocery shopping, which would have been far more convenient for me). Other items were average price. The Prov Mart had more of a selection of stuff and I went there if I needed more than just basic essentials, but didn’t feel like going down to Walgreens (which also sells most of the same stuff and should be included on that list) or the grocery store. Both of those mini marts seemed to only service the people who lived closer to Atwells on the south side of it or the people north of Atwells. 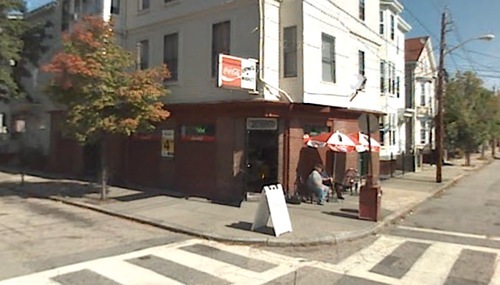 Iovino’s seemed to service the people who lived deeper in the neighborhood. I think I went there once, and I lived about 3 blocks from it at the intersection of Bond and Federal. The other one I mentioned on Depasquale seemed to serve the immigrant population with their Spanish food selection. 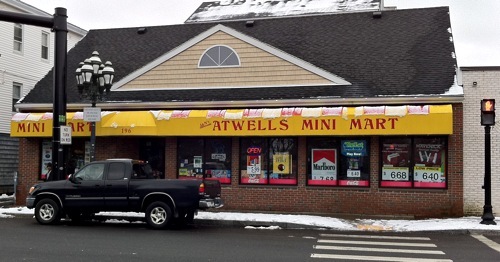 I see the one going in next to Dunkin Donuts really only affecting the Atwells Mini Mart, but it may not. 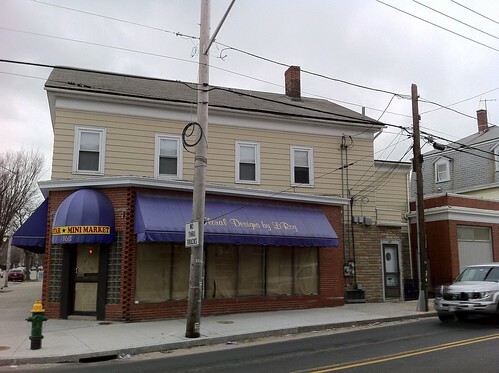 It may actually just serve Dominica Manor, being right across the street, and the people going into Dunkin Donuts. The one going in on Broadway should be interesting. I don’t know where the nearest one on Broadway is. Iovino’s is only a block north of Broadway, but kind of hidden if you rarely travel through there. I see the Broadway one serving the needs of people who live just south of Broadway on that end of it. 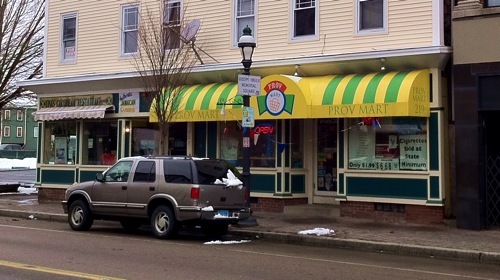 Now… the Atwells Mini Mart has some serious regulars that I have never seen at Prov Mart. Iovino’s does as well. They hang outside it every Saturday and Sunday morning (at least they did while I lived up there) drinking coffee and smoking cigars. That’s why I don’t see either of those running into any problems with the new stores opening up. The rule of thumb for convenience stores is that the need a population of 1,500 to 2,000 to succeed. Federal Hill has a population of roughly 7,500 people, so 7,500 / 1,500 = 5 stores. The more affluent an area is or becomes the number of people needed to support a store goes down. Also, especially on Atwells there are a high number of transients that don’t live in the neighborhood. Peter, I don’t think the problem is necessarily the number of stores, but the proximity to each other. We’re talking about only a small area of Federal Hill where these stores are located. 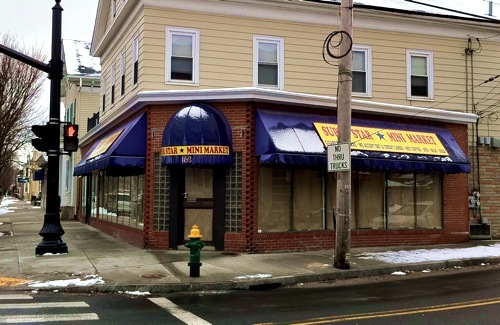 If they were more spread out, it wouldn’t be quite as odd that 2 new stores are popping up on Federal Hill. It should also be mentioned that I believe similar stores exist further down Broadway and on the west end of Westminster. These are also, of course, in addition to the Italian specialty markets and Walgreens, which in addition to having a pharmacy and card shop, is also a mini mart of sorts. The Spanish market on Depasquale is a parking lot now. I don’t understand why people become signmakers. You’d think they had a passion for graphic design and presenting information. But so many signs look like the were designed in Microsoft word. The fonts, the point sizes, the colors, the installation, everything is just terrible. Why become a signmaker if that is what you’re gonna make? The mini mart on Broadway has indeed removed their non-compliant signs.